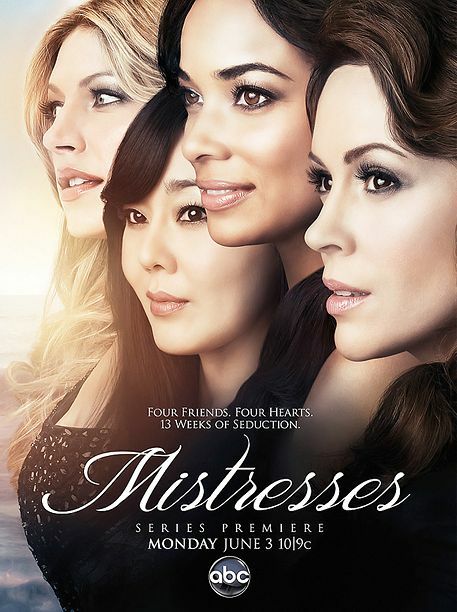 The American TV show Mistresses is based on a British format with the same title and has started just last month on the channel ABC. As the title already implies the general theme of the show, I don’t feel the need to explain the plot in much detail. Mainly, it is about four friends who have to deal with cheating or getting cheated on or just relationship-stuff in general. I started watching the show not because I knew the British version, but because of some of the actresses that are starring in it. The cast list looks really great in my opinion, but it didn’t help the show much. While some of the storylines are quite exciting and interesting most of it is not that new. I guess it’s a pretty standard show directed at an audience that enjoys general relationship drama, but they certainly didn’t invent anything refreshing with the plot they chose for the show. I wanted to give it a try and didn’t mean to judge it right after the first episodes, but it just hasn’t really convinced me and I doubt that it will manage to do that in the future. Still, I don’t think the show is terrible, but I don’t like watching people getting stuck with problems that they can’t really get out of, without hurting a bunch of others they care about. Did you watch it? Did you like or dislike it? If you liked it, what were the storylines that kept you interested?